Mid-rise commercial comprises of 4 marla commercial plots which are available for booking on 2 years easy installment plan. The location of mid-rise commercials is yet to be determined, however all commercials will be situated on 100ft wide boulevards with ample parking spaces. Since the map of Gwadar Golf City is yet to be released, and balloting is yet to be done, we cannot precisely locate the mid-rise commercial area. Due to smaller plot size, it will allow G+3 commercial plazas which are suitable for corporate offices, trade businesses and real estate agencies to operate. So, you have to pay 626000/- in order to book your 4 marla commercial plot in Mid-Rise Commercial Area in Gwadar Golf City. Please note that the given price doesn’t include development charges, and it is only the cost of land. Coastal Commercial is meant for those who want to build hi-rise commercial plazas at the most prominent location in Gwadar Golf City. It is more appealing due to its location just next to the main entrance gate on Coastal Highway, hence it is called “Coastal Commercial”. Coastal Commercial comprises of 8 marla commercial plots. The whole commercial area is divided into 2 blocks i.e. Coastal Commercial Block I and Coastal Commercial Block II. 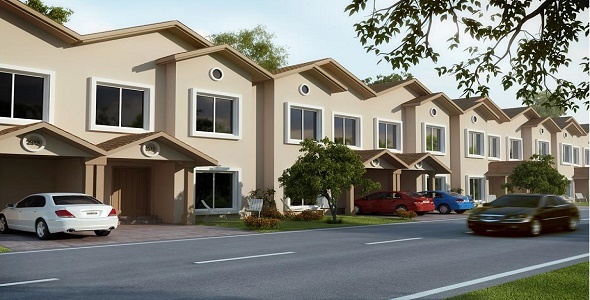 Each block comprises 20 commercial plots of 8 marla each. These commercial plots are open on front and back, so the commercial value is much higher at this location. 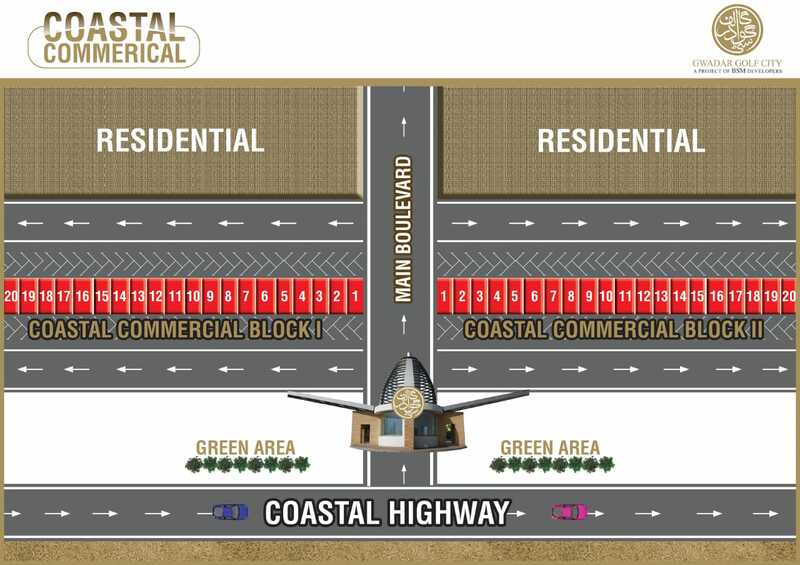 Unlike Mid-Rise Commercial Plots, Coastal Commercial Plots are being offered on full upfront payment. You have to pay the total price at once in order to buy these plots. So, you have to pay 30.35 lacs in order to buy 8 marla coastal commercial plot in Gwadar Golf City. Due to higher demand for bigger commercial plots on installments from overseas Pakistanis, the society has launched 8 marla commercial plots which can be booked only by the Expat community. As the name suggests, the location of these commercial plots could be in Overseas block. As the society has not released the map of Gwadar Golf City, we cannot precisely determine the location of Overseas Commercial Plots. Overseas Commercial Plots are available for booking on 2 years easy installment plan. 50% amount is payable at the time of booking, while remaining 50% is payable in 2 years through monthly installments. So, you have to pay 1635000/- in order to book your 8 marla commercial plot in Overseas Commercial. Please note that the given price is just the cost of land. Development charges will be applied at a later stage by the society. If you need any further information regarding residential or commercial plots in Gwadar Golf City, feel free to contact us via email at marketing@manahilestate.com.